I’m sure a lot of my readers won’t be able to relate to this, but I clearly remember the excitement in the Kricfalusi household when “Cablevision” came to our neighborhood. 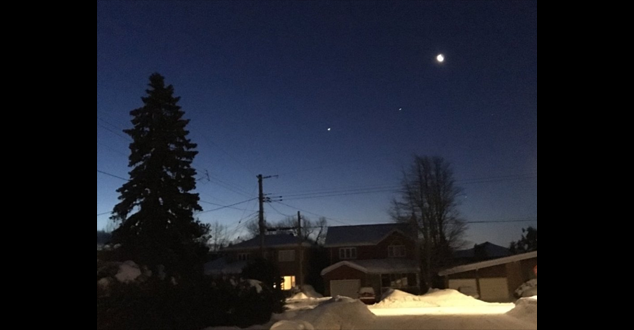 (Well, since it was in Canada, it was really our “neighbourhood.”) 🙂 Besides having more choices of what to watch, it also meant we could do away with antennas, whether they were the constantly-needs-adjusting rabbit ears on top of the TV or the more-powerful-but-still-temperamental rooftop ones. I can’t swear to this but, before cable, I think we had exactly three TV stations: CBC English, CBC French, and CTV. Fortunately they did show some of the most popular American shows at the time and our biggest family disagreement was whether we were watching The Honeymooners or The Beverly Hillbillies on Saturday night. (No DVRs—or even VCRs!—back then either…) Even after the arrival of cable, I think we were up to 20 or 30 stations. Nothing like the hundreds of channels available today! In the States, the pre-cable Big Three broadcast networks were CBS, NBC, and ABC. And it’s pretty amazing to me how much they (plus Fox now) still dominate the airwaves with their morning and evening news shows, syndicated daytime programming, late-night talk shows, and primetime hits from the Big Bang Theory to Sunday Night Football. So for a lot of people, before they can even think about canceling their cable subscription, they want to know how they’re going to be able to keep up with their favorite (favourite!) network programs. And that’s where the antenna comes back into play. Note: If you don’t care about watching your shows live, you can access a lot of them through streaming media providers like Netflix, Amazon Video and Hulu Plus. TV stations send broadcast signals out “over the air(waves),” which is why you’ll often see it referred to OTA TV. You can find more information about how close you are to towers, what channels are available, and what type of antenna will work best for you at antennaweb.com or tvfool.com. 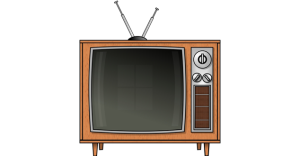 In 2009, U.S. TV stations had to switch all their signals from analog to digital to comply with a federal government mandate. On the plus side, the signal quality is better and you may have more channels available. On the minus side, some older TVs (including HD models, depending when they were made) will not be able to take digital signals. If you have one of these TVs, you will need a digital converter box, VCR, or DVR that has what’s called an ATSC tuner to convert the digital signal to analog. Unlike with cable and satellite set-top DVRs, antennas don’t have built-in recording capabilities. So if you want to record shows, you’ll need to get a separate DVR. These can range from inexpensive models that include a very basic program guide and require an external hard drive to actually store the shows on to more expensive models, like Tivo, that are much more like cable DVRs and that may also come with monthly subscription fees. I live in the suburbs of a major city within just a few miles of a broadcast tower, so I got a basic indoor antenna and attached it to the wall just above my TV and the both the audio and video are really strong and clear. I get 30+ OTA stations and substations, including CBS, NBC, ABC, Fox, The CW, PBS, Telemundo, Home Shopping Network, Radar (a weather channel that’s a substation of CBS), a movies channel, and a bunch of others I wasn’t even aware of before! 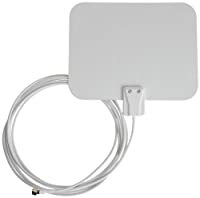 You may need to place an indoor antenna further away from your TV to get a good line to the broadcast tower, in which case you may need a longer coaxial cable to reach your TV. You can also get an antenna with a signal booster to make sure it stays strong over the length of the cable. Thats about it for my knowledge of antennas, but AntennasDirect is a site with a lot more information about them including DIY installation instructions for rootop antennas as well as links to service providers who can install them for you. They also sell a wide range of indoor and outdoor antennas.